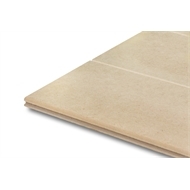 IBS PanelLine Brace is produced in 9mm Premium Grade Golden Edge MDF (Medium Density Fibreboard) which has excellent strength quality, surface smoothness and stability an superior edge profile. 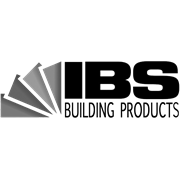 IBS PanelLine is suitable as a sheet bracing for light timber framed buildings. The surface can be painted to achieve a superior high quality finish and can be worked easily with all conventional woodworking machines and handtools.